I have PHT, not IGB? | darkness overcomes you . . .
← Not running, still eating. I have PHT, not IGB? 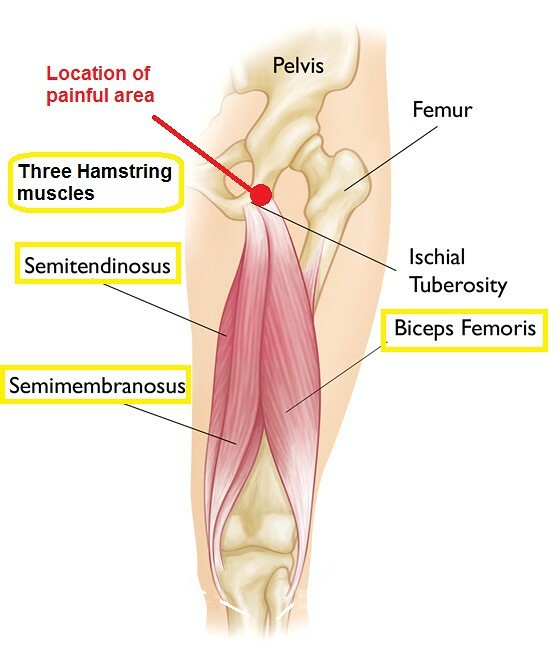 I now think I have Proximal Hamstring Tendinopathy (PHT), [aka: upper/proximal/high hamstring tendonitis/tendinopathy] whereas my initial self-diagnosis was ischiogluteal bursitis (IGB). This guy’s story is almost identical to my own and it took him two or three months to get better. He points out, and I agree, that it can be hard to distinguish this condition from ischio-gluteal bursitis (IGB) because the ischiogluteal bursa lies between the hamstring tendon and the ischial tuberosity. In the end the diagnosis doesn’t really matter because the main treatment is the same: rest until pain-free and resume exercise only when it doesn’t provoke pain. One possible difference in management between IGB and PHT is that there’s probably no role for anti-inflammatory medication in the case of tendinopathy. For this guy it took two years to start to get over the injury and he suffered terrible depression. I can relate to that. I am resting . . . This entry was posted in depression, emotions, health, injuries, pessimism, running and tagged bursitis, depression, hamstrings, ischial tuberosity, marathon, pelvis, running, tendinopathy. Bookmark the permalink. 6 Responses to I have PHT, not IGB? Pingback: what am I doing? | darkness overcomes you . . .
Pingback: I climb (slowly) | darkness overcomes you . . .
Pingback: First pride, then… | darkness overcomes you . . .
Pingback: One step forwards, two steps back | darkness overcomes you . . .